Facebook CEO Mark Zuckerberg’s new puppy, Beast, has his own Facebook page, and that’s just not right, Chinese activist Michael Anti tells CNBC. 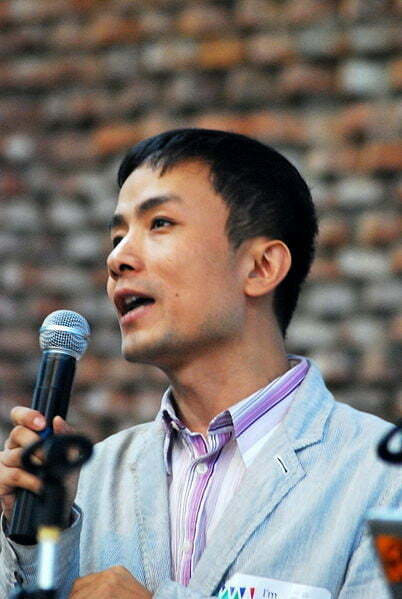 Anti, a well-established and highly respected blogger and journalist whose legal name is Zhao Jing, had his Facebook profile page shut down by the company in January. Officials sent Anti an email, which explained that Facebook does not tolerate the use of pseudonyms, and profiles must be made under the name written on a government issued ID. For more than a decade, Anti has used a pseudonym to publish a wide variety of articles and essays, which have focused primarily on freedom of the press in China. Anti’s work has earned him fellowships at both Cambridge University and Harvard University. He has written articles for publications like The New York Times and the Washington Post, all under the Anti name. By blocking Anti from access to his page, Facebook cut off his ability to connect with more than 1,000 professional contacts that know him by that name, he said. Dissidents like Anti argue that the policy endangers human rights activists by requiring them to reveal their true identities. This isn’t the first tim Anti has had difficulties with a major technology corporation. In 2005, Microsoft deleted his blog after receiving pressure from China’s government to do so. If Facebook allows Zuckerberg’s pup Beast — who, of course, has no government ID at all —to remain on the site, it will be interesting to see if their policy changes to give people like Anti an chance to connect.